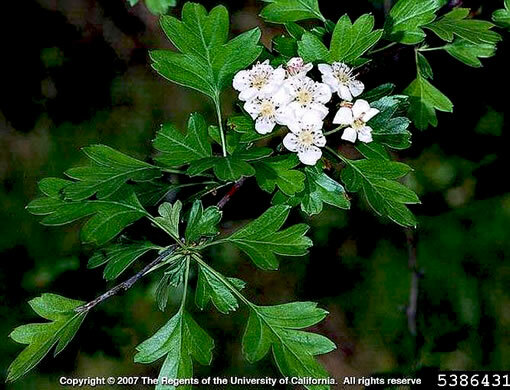 Flowers 10-15mm wide, flowering in April or May after leaves are half-grown, per Haws: A Guide to Hawthorns of the Southeastern US. 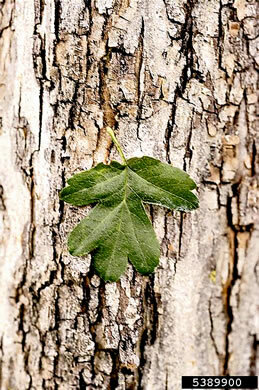 Leaves ovate to deltate, often deeply lobed. 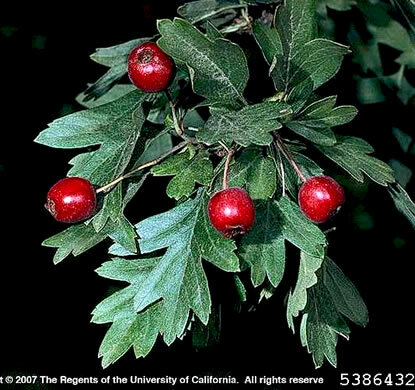 Fruit red, 6-14mm wide, per Haws: A Guide to Hawthorns of the Southeastern US. Bark scaly, grayish, becoming furrowed on old trunks, per Haws: A Guide to Hawthorns of the Southeastern US.